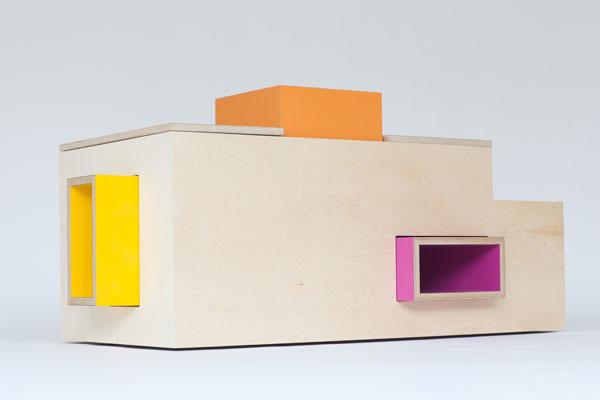 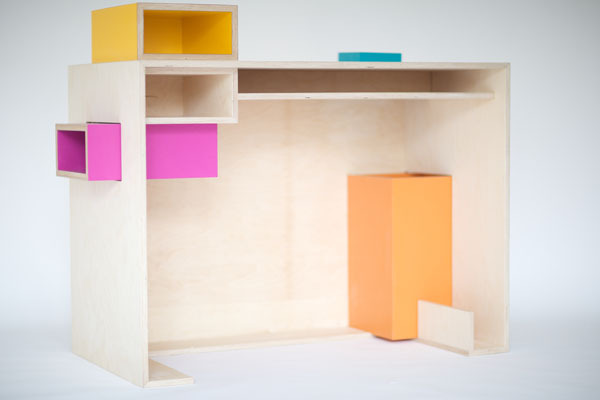 French architects Agnès & Agnès are showcasing their new geometric furniture collection for kids at Paris's new design hotspot, Les Docks, Citè de la Mode et du Design, this week. 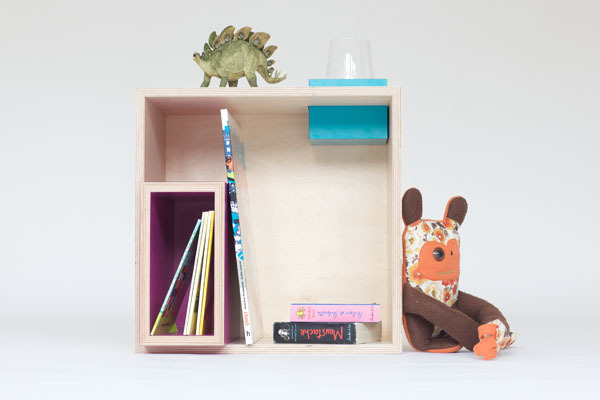 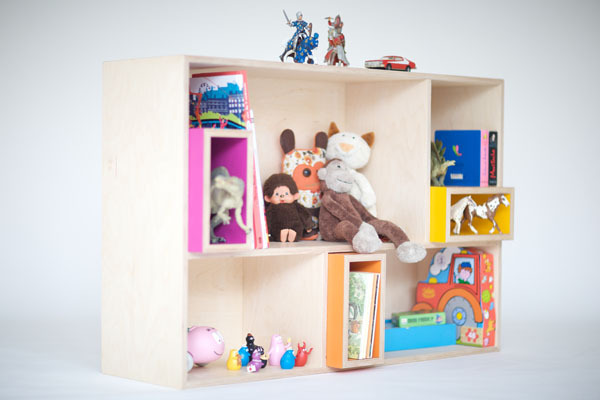 This collection comprises five different pieces of furniture for children's bedrooms: a toy chest, desk, bookshelf, bench and bedside table. 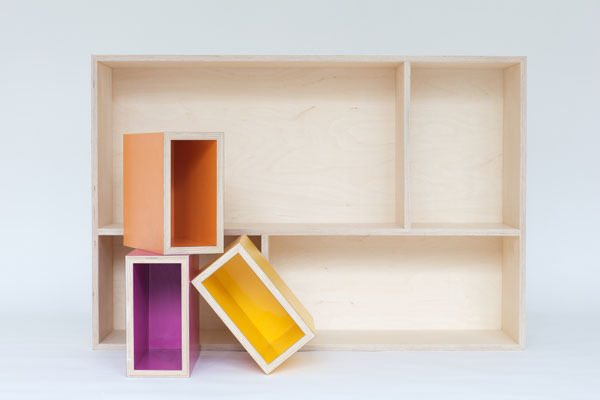 The main birch plywood structure is brought to life by colourful laminated cubes that can be rearranged in order to create different configurations. 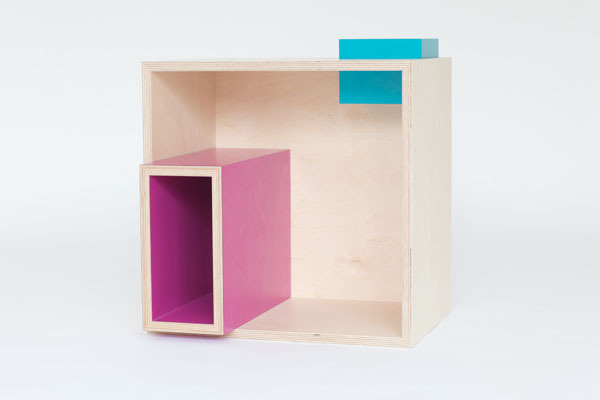 The exhibit runs until 16 September.